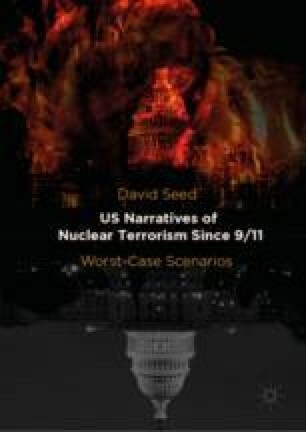 This final section examines a mode of attack which has been repeatedly connected with nuclear terrorism in the debate over security. The weapons, usually phials or bottles, are so small that they easily avoid detection and with this kind of attack there is of course no moment of detonation, only a gradual increase in casualties. And the human carriers can themselves function as human weapons. This fiction repeatedly plays on different meanings to “cell”, relating the fate of individuals to that of the body politic. Once again the conspirators might be Middle Eastern or domestic, the latter frequently lone wolves as happens in Richard Preston’s The Cobra Event, which reportedly shaped the policy of the Clinton administration.